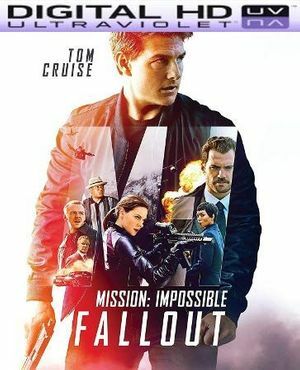 Digital UltraViolet and Digital Copy will makes it possible for you to stream the movie Mission: Impossible - Fallout HD UV Code instantly to your computer and compatible Smartphones, Andriod, iphone, iPod Touch, iPad and tablets devices anytime, anywhere. You can also download a Digital UltraViolet Copy or a Digital Copy of the movie Mission: Impossible - Fallout HD UV Code to your computer and compatible devices. Ethan and his team are sent to Berlin to intercept them, but the mission fails when Ethan saves Luther and the Apostles escape with the plutonium. With CIA agent August Walker joining the team, Ethan and his allies must now find the plutonium cores before it's too late.